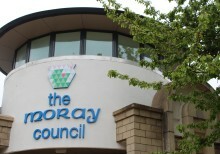 Moray Council is now able to accept online applications for building warrants and supporting documentation. User-friendly website re-design means council tenants who want to report a repair or pay their rent online, private landlords seeking registration, housing support and information on a range of topics is now more accessible. Moray’s busiest website is looking for feedback to help up its game.